After a surprisingly good off-year election result in 1922, the Democrats entertained thoughts of winning back the White House in 1924. The first candidate party officials targeted was Henry Ford. Ford was not a member of the Klan, but he could have been. He was openly anti-Semitic. And, despite his wealth and business acumen, Ford was not overly bright. He also was not known for generosity. Or kindness. Or much of anything good. Yet, the Democrats wanted him to run. Fortunately, Ford dropped out of the race early in 1923 and ended up backing Coolidge. There were three leading contenders, one from the West, one from the South, and one from the East. The Western candidate was William McAdoo, who was actually from the East Coast, but had moved to Los Angeles after World War II ended with his second wife (the first Mrs. McAdoo died), who happened to be Woodrow Wilson’s daughter. McAdoo was a former Treasury Secretary who oversaw the institution of the Federal Reserve System. McAdoo was a strong proponent of Prohibition. McAdoo was the Klan’s candidate, a status McAdoo didn’t seem to mind. McAdoo was the presumptive nominee until it was revealed that his law firm had received a large amount of legal fees from Teapot Dome figure Charles Doheny. The Southern candidate was Alabama senator Oscar Underwood. Underwood despised the Klan because he felt it was keeping the South from rising to its true potential as an industrial power. He didn’t want to see his region be the laughingstock of America. Underwood ran on a pro-business platform. 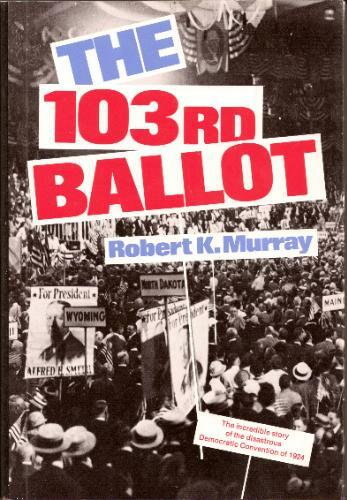 The Eastern candidate was New York governor Al Smith. Smith, a Catholic, represented the increasingly large big city Democrat. He was not a supporter of Prohibition. He was the closest thing to a Progressive running for the Democrats. Smith’s campaign manager was a man recovering from a bout with polio, Franklin D. Roosevelt. In all, the Democrats had 16 people officially nominated for president at the convention, with a plethora of “favorite son” candidates who would wait to see whom they could swing their support to. The Democrats at the time required the nominee to get 2/3 of the vote, which always lead to bargaining. The Convention went off the rails though when the party platform was adopted. Underwood’s people had tried to include a plank that would have specifically condemned the Ku Klux Klan. This turned into a vicious floor fight. The Democrats’ senior statesman, William Jennings Bryan, who had transitioned from populist to fundamentalist buffoon, tried his best to prevent the anti-Klan plank to be included. Ultimately, the anti-Klan language lost by one vote. As the convention dragged on, McAdoo and Smith dug their heels in deeper. Each man loathed the other and what he stood for. There was no common ground it seemed for the two men to find a consensus. Eventually, party leaders forced both McAdoo and Smith to accept the fact that they couldn’t win and they needed to work to find a compromise candidate. The Convention settled on someone who was the least objectionable, a former ambassador and Congressman from West Virginia named John W. Davis. Although he was nominally from West Virginia, Davis was actually a wealthy Wall Street attorney. He looked like someone who could be President and that was about as good as the Democrats were going to get. Davis had no national constituency. He hadn’t run in any primaries (but he still managed to win 21 votes. Not delegates. Votes.) and had no campaign infrastructure. His nominal campaign manager took over the job nationally and was terrible. 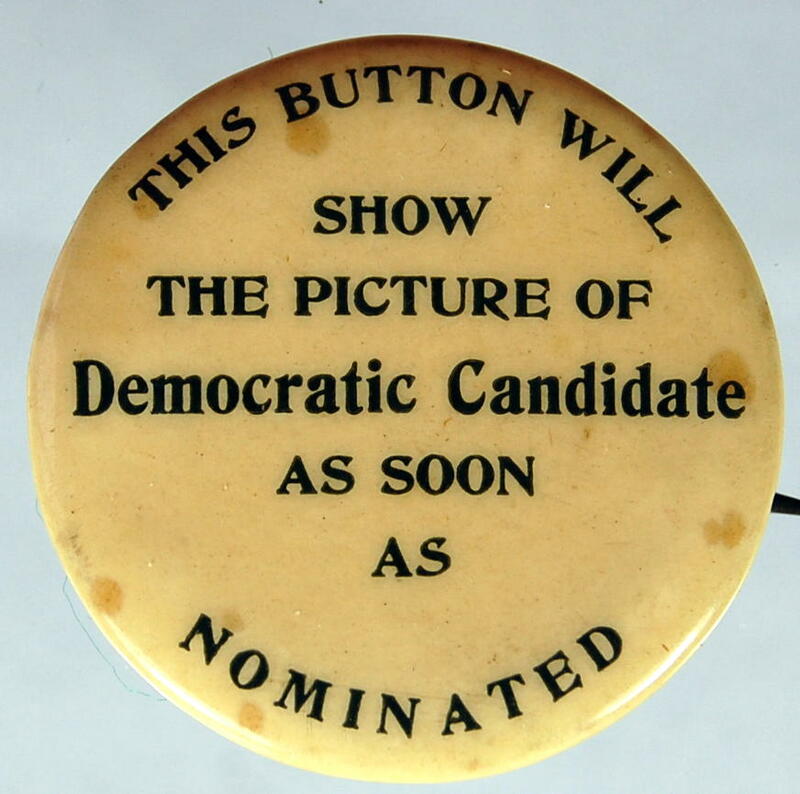 The Democrats needed a Vice-Presidential nominee and chose Charles W. Bryan, William Jennings Bryan younger brother. The younger Bryan was supposed to appeal to Western voters. He added little to the race. The Republicans had already held their convention and quietly and efficiently nominated Coolidge to run for a full term. Charles Dawes, an Illinois banker, was picked as a running mate. Coolidge rarely left the White House during the campaign as the Republicans were pretty sure that they could win even if they fell asleep. There was a significant third party in this race. Robert La Follette of Wisconsin, nominally a Republican, was fed up with the conservative, pro-business bent of the GOP and decided to re-form the Progressive Party. La Follette was 69 years old and in failing health, but he hated Coolidge a lot and he hated Davis twice as much. Burton Wheeler of Montana was his running mate. The election of 1924 was a wipeout. Coolidge won easily, with 54% of the popular vote and 382 electoral votes. Davis picked up the lowest percentage of the popular vote of any Democratic candidate ever, just 28.82%. La Follette won the rest and carried his home state of Wisconsin. La Follette would pass away in 1925. McAdoo was so embittered by the events in New York that he stayed out of politics until 1932. At the convention in Chicago that year, McAdoo swung the California delegation over to Roosevelt on the fourth ballot to avoid another deadlock. He then served one term as a Senator from California. Smith would get the nomination in 1928 and lose badly to Herbert Hoover in the general election. And then Smith and Roosevelt had a falling out as Smith turned increasingly conservative before his death. Davis went back to Wall Street where he became a very successful attorney. He argued 140 cases before the Supreme Court. One of his final cases was Briggs v. Elliott, one of the cases that came before the Supreme Court in 1952 on school desegregation. Davis argued in favor of South Carolina’s segregated school policy. Davis did not expect to lose the case, but he did, although the case is better known as Brown v. Board of Education of Topeka, Kansas. The Democrats vowed never again to hold a convention in New York City after this disaster, but they would return in 1976 to nominate Jimmy Carter. On the first ballot.